What’s at Stake for the China-South Asia Expo? The China-South Asia Expo opened without a hitch yesterday in Kunming despite online calls for a continuation of environmental protests outside of the Expo’s opening ceremony site. It seems protesters decided to stay home due to a combination of sticks and carrots offered by local authorities. On June 3, Kunming’s mayor announced the release of key environmental impact assessment data concerning the construction of a PetroChina oil refinery and PX chemical plant side project scheduled for construction 40 km from the city’s downtown area. Also, the excessive presence of armed and unarmed public security officers lining the city’s streets and manning the Expo site also likely turned protesters away. What is the rationale behind the excessive security measures? What’s really at stake at the 1st China-South Asia Expo? 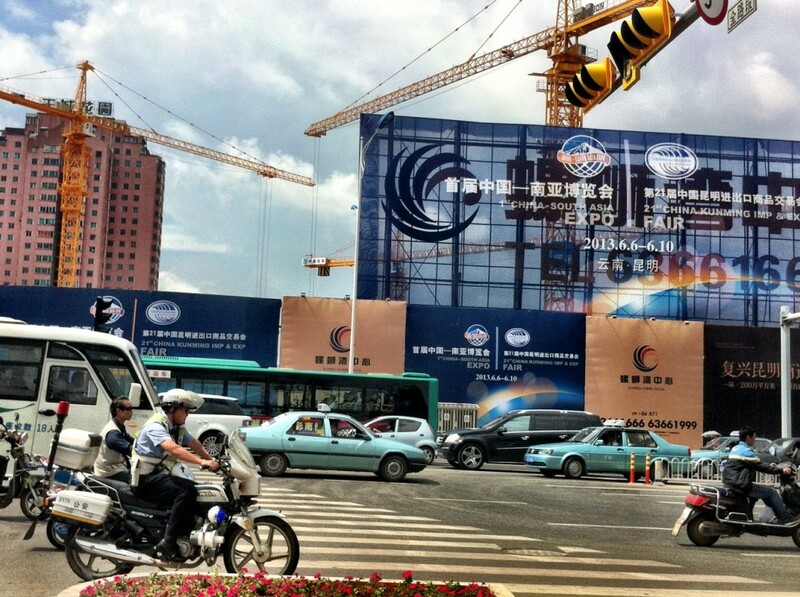 The Expo, a combination trade fair and high level forum for investment and trade promotion discussions between China, Southeast Asia, and now South Asia, is part of China’s “Bridgehead Construction” strategy to establish Kunming and Yunnan province as a gateway between China and its neighbors to the south and west. A smoothly running Expo not only will seal multilateral agreements and high-value business deals that will streamline regional trade and investment, but it will also guarantee the continuation of soft-budget infrastructure development projects sponsored by Beijing to Kunming and Yunnan province that are part and parcel of the “Bridgehead” strategy.